I usually don't share this many images, but I just couldn't help myself! This is probably one of those perfect storm sessions where everything came together just right to create something beautiful! 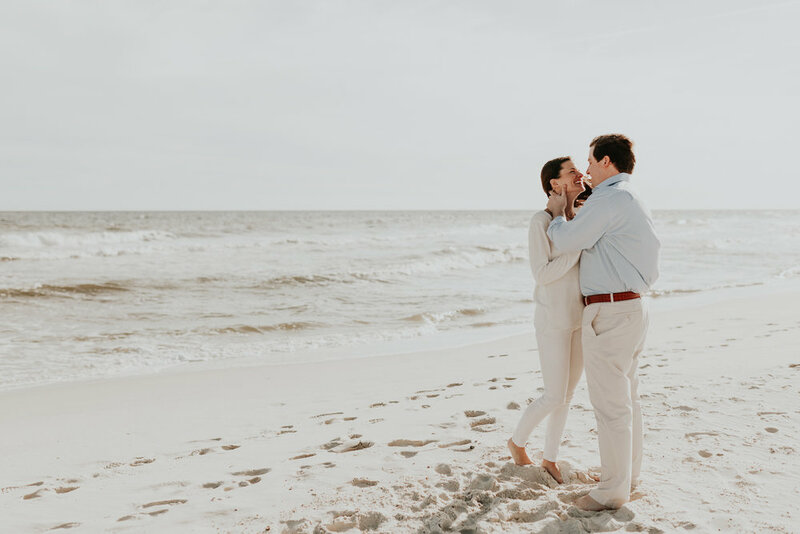 Ok, it was cold and my nose and eyes were leaking like nobody's business, but these two braved the weather and we got epic pictures with the help of the wind, sun, and water! Mish and Christopher were just down. Down for what-e-ver. When I would suggest something, they jumped in with two feet, no questions asked. "No pain, no gain!" said Mish when I suggested getting in the cold water. I just loved her, her open energy, her enthusiasm, her zest for life, and love for Christopher. Christopher was just as kind and open to the experience. These are totally my free-spirit kinda people! I can't wait for their wedding in November!